The trade dispute between the United States and China is far from over as Chinese telecom equipment giant Huawei Technologies has become its latest prey. Indeed, the trade spat has been on for a while now, giving experts concerns that it may open a Pandora’s box. According to media reports, the US authorities issued a request to the Canadian government, asking Canada to arrest and extradite Meng Wanzhou, the chief financial officer at Huawei. Consequently, the Canadian authorities picked her up and have since taken her into custody in Vancouver. US prosecutors stated that Meng lied to a multinational bank that a Huawei subsidiary has no ties with the telecom company. Explaining further, the US authorities pointed out that the Huawei’s CFO misled the bank to enable her to wire funds out of Iran. As a result, this has put the multinational bank at risk as the transaction could potentially earn it severe penalties from the United States. It would be recalled that US president Donald Trump had earlier imposed economic sanctions on Iran, forbidding allies from dealing with this nation. The Canadian authorities at the airport nabbed Meng, who is also the daughter of Huawei founder, on December 1. The 46-year-old finance guru will now face fraud charges in the United States. Feeling that she deserves better, Meng has urged the Canadian authorities to grant her bail, citing her long-standing relationship with the country. She disclosed that she owns two multimillion-dollar homes in Vancouver, adding that she should be released pending an extradition hearing. In response to the ongoing saga, China has since called for her immediate release, urging the United States to withdraw the arrest warrant. To China, this arrest is not about sanctions or justice; it’s all about national pride. Moreover, Meng is seen in China as “a corporate princess,” and Huawei Technologies has significantly contributed to China’s desire to become the world’s leader of next-gen smartphone technology, 5G. Today, China’s Huawei Technologies is currently the world’s leading supplier of network equipment. And China says that the United States is envious of its latest advancement in 5G technology. Is the US really envious of the Chinese? To really ascertain whether the US is envious of China’s 5G tech advancement or not, one must grasp the benefits that the innovative technology brings to the table. 5G means the fifth generation of mobile telecommunication. The technology offers a wide spectrum of benefits, such as high data rate (speed), energy saving, reduced latency and a host of others. Huawei Technologies, which provides services similar to US-based tech firms Apple and Cisco combined, is currently the only telecom firm manufacturing and selling 5G network equipment. Undeniably, 5G technology will play a pivotal role in the 21st-century tech industry. 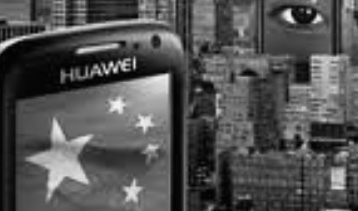 According to Kevin Allison, an analyst at consultant company Eurasia Group, there is grand plan spearheaded by the US to boycott Huawei’s 5G network equipment. The analyst said Tuesday that the US is pushing its allies to shut out the cutting-edge tech equipment from Huawei, citing national security concerns. In a press release, Eurasia Group stated that the U.K., New Zealand, Japan, and Australia have already keyed into the “concerted strategy.” On Tuesday, CNBC reported that those countries took decisive actions against the Chinese telecom giant, which suggests that the rumor could be true. Similarly, cryptocurrency company Ripple Labs is looking to cash in on the worsening trade dispute between the two countries. Facts check shows that Beijing-based Bitcoin mining company Bitmain Technologies controls more than half of the global Bitcoin creation. Together with other mining pools in China, Bitmain controls over 70% of Bitcoin hash rate. Media reports say that China’s dominance in the crypto space is giving President Trump a cause for concern. To upset China’s Bitcoin influence, Ripple Labs executives say that the White House might adopt Ripple (XRP). The Ripple Labs’ chief strategist, Cory Johnson, told crypto-focused mag Breaker that the government is perturbed that China controls up to 80% of global Bitcoin concentration. Speaking further, Johnson hinted they are in talks with the Trump administration as the US government looks to adopt Ripple to burst China’s bubbles. Blockchain technology, the innovative technology that underlies Ripple and Bitcoin, came into the limelight in 2008 when Satoshi Nakamoto, a pseudo name or group, launched Bitcoin. Much as cryptocurrency remains its most popular application, blockchain technology has various use cases. For instance, in November, the US state of West Virginia deployed blockchain-enabled mobile voting option to improve its election. With the technology, US soldiers based abroad were able to participate in the just concluded midterms.